Whenever your opponent plays an Item or Supporter card from their hand, prevent all effects of that card done to this Pokémon. 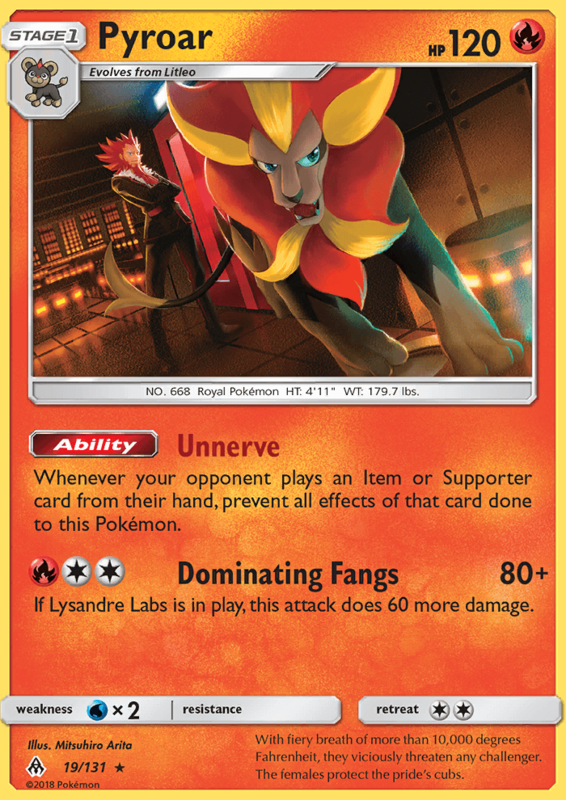 If Lysandre Labs is in play, this attack does 60 more damage. With fiery breath of more than 10,000 degrees Fahrenheit, they viciously threaten any challenger. The females protect the pride’s cubs.